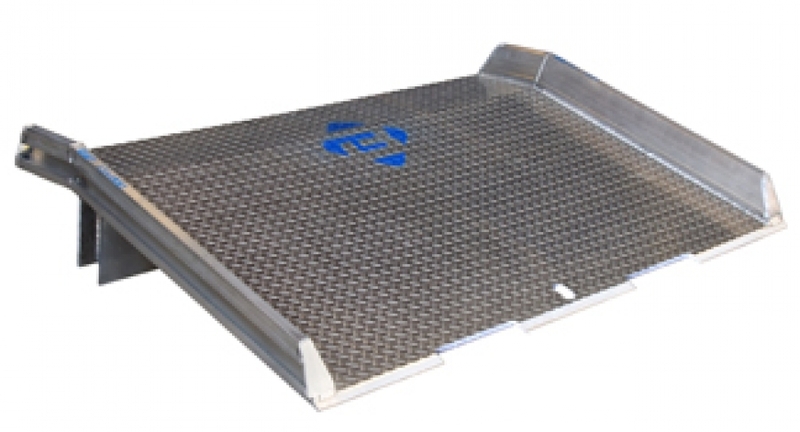 All Aluminum Welded Truck Dock Board (ATD) | Dock Door Systems Inc. This all aluminum, fully welded truck dock board is our innovative “Lightweight” alternative to the heavy duty steel dock board. The ATD is designed for lightweight duty in low to medium volume dock loading applications with a forklift or pallet jack. Both capacity ATDs are constructed of aluminum tread plates with welded aluminum extruded curbs and legs. Customization options includes locks, lift chains, lip lengths and bend angles.